The objective of any refrigeration system is to collect heat from a low temperature area and move it to a high temperature area. Refrigerant is a substance that acts as a cooling agent by absorbing and giving off heat. 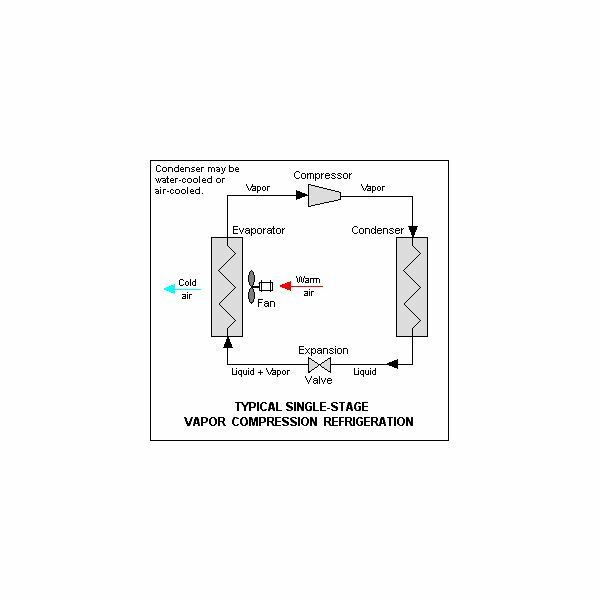 Usually there are two types of refrigeration systems commonly encountered: namely the vapor compression cycle refrigeration system and the vapor absorption cycle refrigeration system. 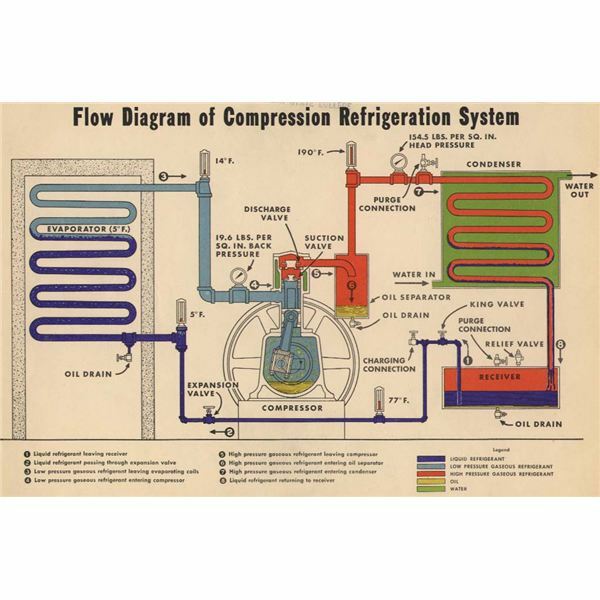 The most common system that is used on all ships is the vapor compression cycle refrigeration system. Onboard ship refrigeration systems are used in the carriage of some liquefied gases and bulk chemicals, air conditioning for accommodations, to cool the bulk carbon dioxide for firefighting systems, to preserve perishable foodstuff during storage, and to preserve stores on ships like fish, meat, vegetables, and dairy products. 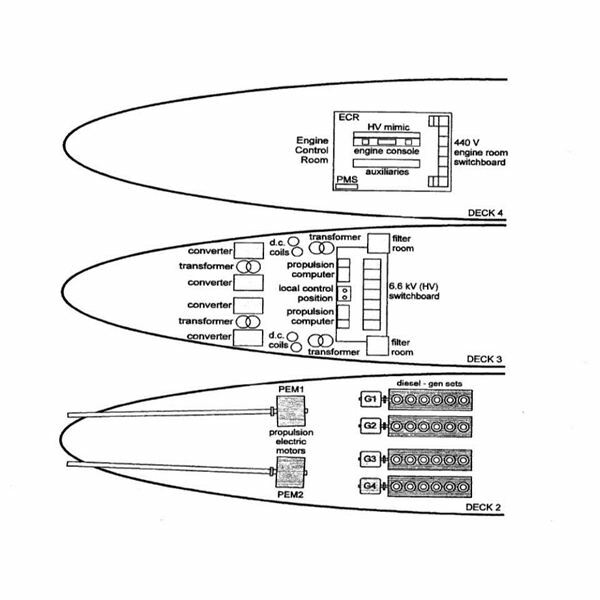 It is required to maintain the temperature of the above items within desired limits throughout the voyage, so the refrigeration system will be running throughout the voyage … which may lead to various problems during its operation. In this article let us see how to identify various faults in refrigeration systems, the causes for the faults, and the actions to be taken to troubleshoot those problems in refrigeration systems. Faults like under charging, over charging, air in the system, moisture in the system, and oil in the system will be discussed in this article. Compressor is running hot and performance of the compressor falls off due to high superheat temperature at the suction side of compressor. 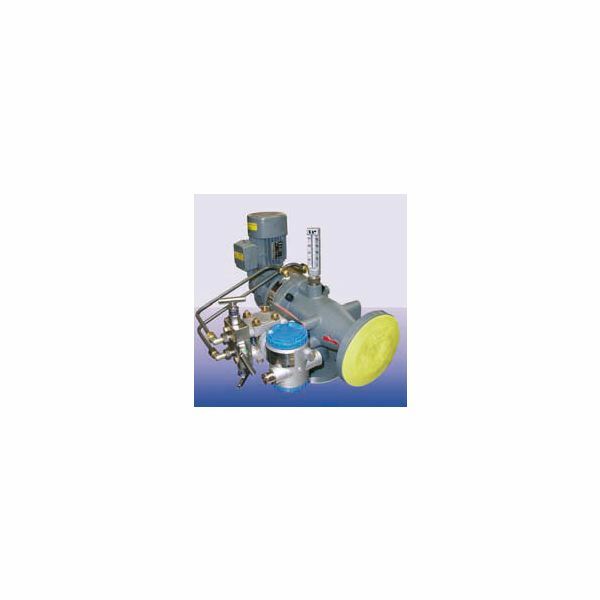 Suction and discharge pressure of the compressor is low. Large vapor bubbles in the liquid sight glass. Low gauge readings in the condenser. Ammeter reading for the compressor motor is lower than normal. Rise in room temperature which is to be cooled. Compressor is running for extended period of time. Leakage of refrigerant at the shaft seal, flange couplings, valve gland etc. Expansion valve may be blocked at the strainer. Partial blockage of refrigerant at the filter or drier or evaporator may cause undercharging. Identify and rectify the leakage of refrigerant from the system. Clean the filter and drier. Charge the system with fresh refrigerant as required. The liquid level in the condenser is too high (high condenser gauge reading). This will reduce the available condensing surface, with corresponding increase in the saturation temperature and pressure. High pressure switch of the refrigerant compressor activates and stops the compressor. The suction and the discharge pressures are high. It may be due to the reason that excessive refrigerant has been charged in the system. Air in the system may also cause over charging indication. It may also be due to the formation office on the regulator. Remove the refrigerant from the system. This is done by connecting a cylinder to the liquid line charging valve, starting the compressor, and then operating the charging valve. Purge the air from the system and maintain effective cooling. Remove ice from the regulator by using any of the defrosting methods. This normally comes with the ingress of air in the system. Moisture may freeze at the expansion valve, giving some of the indication of under charging. It will contribute to the corrosion in the system. 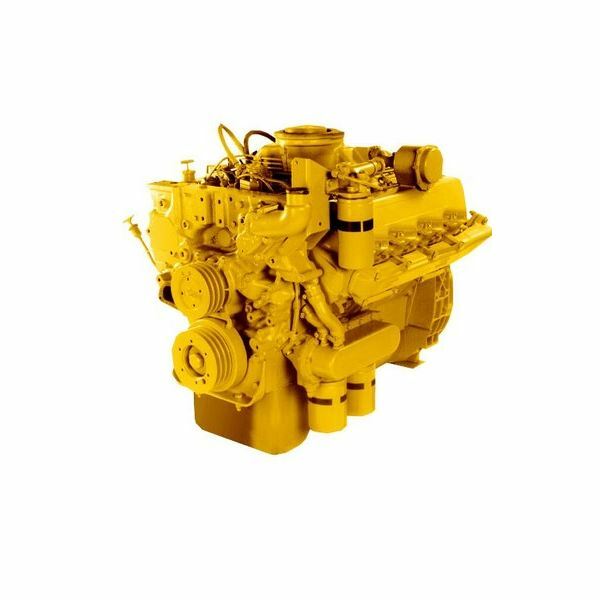 It may cause lubrication problems and breakdown of the lubricating oil in the refrigerant compressor. Renew silica gel in case of minor moisture. collect refrigenant and remove all air and moisture by vacuum pump if the amount is huge. This may cause the refrigeration compressor to overheat, with a high discharge pressure and normal condensing temperature. There are possibilities of small air bubbles in the liquid sight glass of the condenser. Condensing pressure of the refrigerant in the condenser may be high. If there is excessive air, it may reduce the cooling capacity of the system, making the compressor to run for the extended period of time. It may cause the gauge pointer of the condenser to jump indefinitely. During charging, air may enter in to the system. If Freon-12 is used air may leaks in to the suction line because the working pressure of the Freon-12 refrigerant is less than the atmospheric pressure. Air in the system can be removed by collecting the system gas in the condenser, leaving the condenser cooling water on and venting out the air from the top of the condenser because air will not be condensed in the condenser but remains on top of the condenser above the liquid refrigerant. 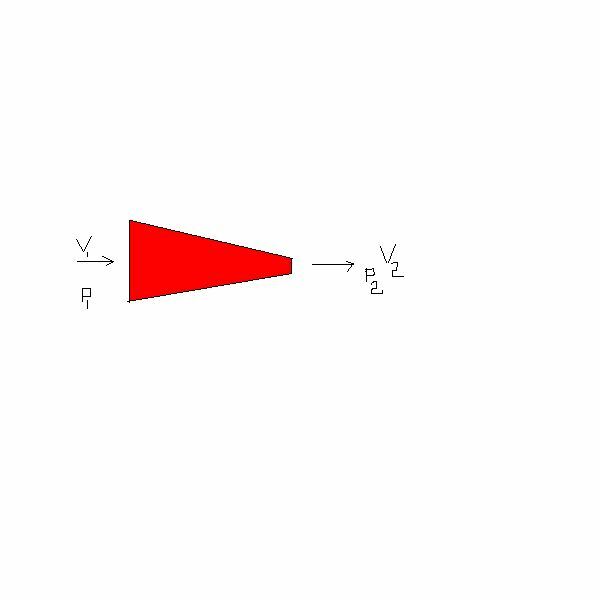 Connect the collecting cylinder to the purging line of the condenser, open the valve, and collect air in the cylinder. After purging the air from the system don’t forget to shut the purging valve. Check the level of the refrigerant in the system. If required, charge the system with fresh refrigerant. Restart the compressor with all safety precautions. Temperature is not dropping in the cold rooms as normal, due to fact that oil act as insulation in the evaporator. It may cause excessive frost on the suction line. 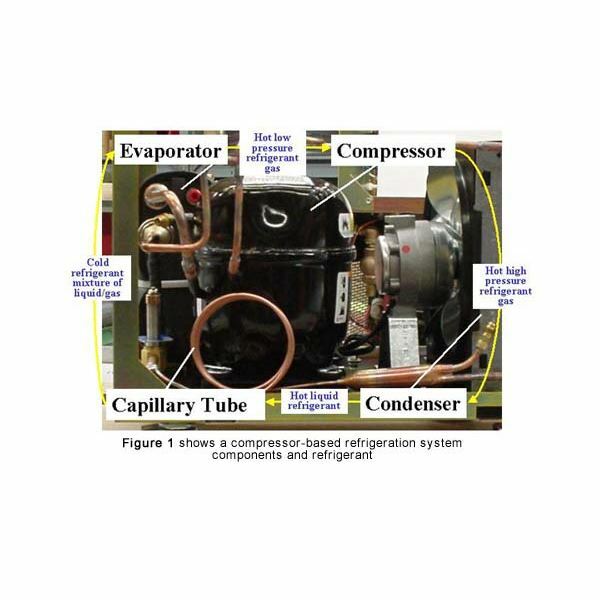 Refrigerant compressor runs for the extended period of time. Lubricating oil level in the compressor will drop. Refrigerant level will fall if oil has caused blockage. This may happen if the oil separator is not working properly. Oil may carry over from the compressor and may not come back to the compressor due to blockage in the system. Defective piston rings or worn out liner of the compressor may cause the oil to carry over along with the refrigerant. Compressor may take high capacity current during starting. Check the oil separator for proper functioning. Evaporator coil should be drained to remove any trace of oil. If there is oil in the cooling coils, increase the condenser and evaporator temperature differentials and remove excess frost on the suction pipe. Heat pipes with blow torch. This is seen as liquid getting back to the suction of the refrigerant compressor. 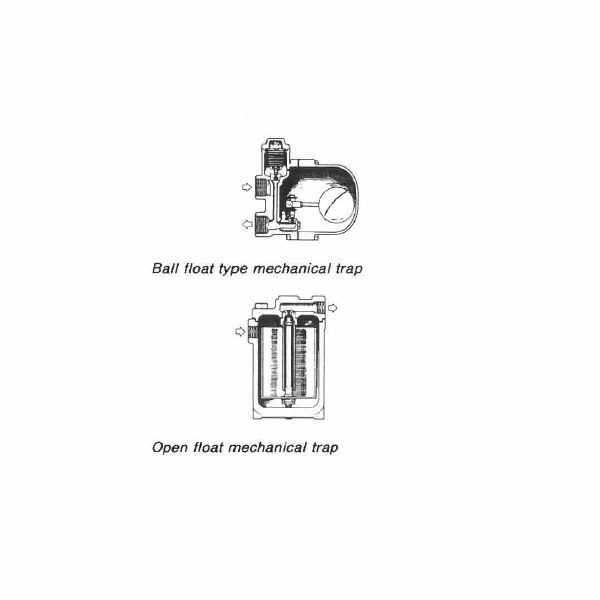 It may be due to a faulty or incorrectly adjusted expansion valve and also due to solenoid valve leakage. It may also result from overcharging of the refrigeration system. Flooding may lead to an iced up evaporator. Running 60 Hz motors on 50 Hz - Is it possible and what are the options?